Well here in Cuzco has really become a waiting game for Deirdre to arrive. The town has had a good going over. Some genuine leather topped Adidas cross trainers were found after much hunting. The leather keeps the seeds out while camping. There are shoe shops down on Pera street near Av del Ejécito, they are well priced. This is an area where according to maps etc say is not safe. Needless to say few gringos were about. Here all manner of things are for sale. On Sunday last, I visited again, there was a huge market in progress with everything being sold from big piles of the old Sole coins to second hand tools, TV’s, musical instruments, bottles, school books and of course chiccarone de cerdo! It was relaxing just looking and holding all these items, many giving one a glimpse into Perus past. Every morning here at 0600 and 0700, a small barrage of fireworks are let of to mark the beginning of the day. The Hostal Felix though having all the services was downright cold, my room was always at least 3 degrees colder than the ambient temp. Going to bed almost fully clothed was the norm. Keeping the stove going that little bit longer was also the norm. Getting into bed and adopting the fetal position for the first ten minutes was another addition to the norm. Having had enough of this, even at $8 a night. I had a browse about for better accommodation for us upon Deirdres arrival. This hostal, did have rooms that were much warmer, I would not hesitate to stop here again. The Sol Inca was found on Avenida Cultura near Plaza Limacpampa. It is great, like a small apartment. Plenty of room to unpack and pack our gear. The shower had just the best onslaught of hot water. Though most importantly it airy and got sun. Much of my time here has just been wandering about talking to people, it is the best practice. 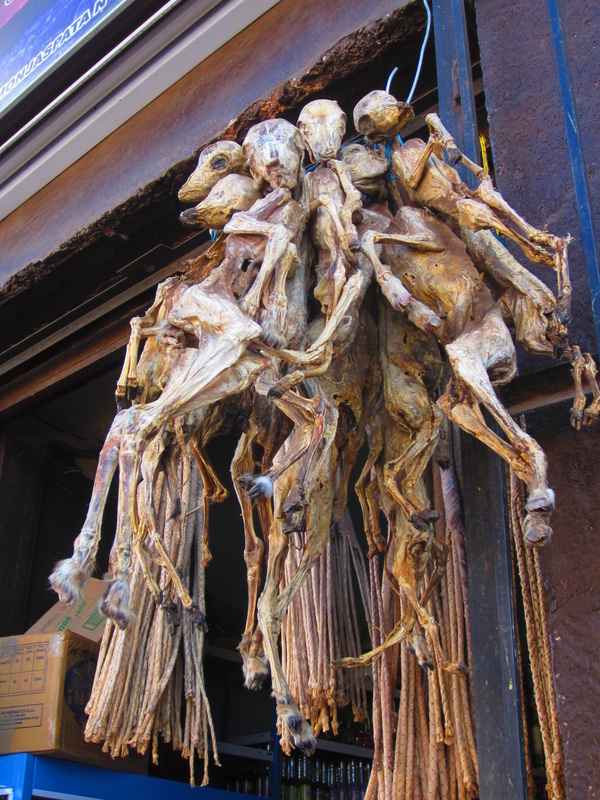 At one tienda well away from the plaza de Armas, they had strings of dried baby hoofed animals hanging outside the shop. On inquiry they were found to be still born Llamas, or others that died after birth. It took awhile to work out what they were for. It was a topic containing largely new vocab. It was classic. They were trying to tell me they were for food. I said I will have four to make my favorite soup, and on it went. They were infact items of good luck. People bury them in their yards in the belief they will bring good times. These exchanges, laced with humour, make remembering words easy. I like to stir the ladies up with a bit of waffle. They always have time for a laugh and appreciate efforts to speak their language. Since being in Cuzco, I have used so much Bencina, some 4 litres in the stove. They have this natural cocoa powder here, which makes a great unsweetened hot drink. This, with coffee and tea preparation chewed a bit of the fuel. It is sold at hardware stores. In the tourist part of town, tour operators sell a litre for S16, whilst out in the burbs the local ferretería will have the same for S7-8. Either way it is great fuel. 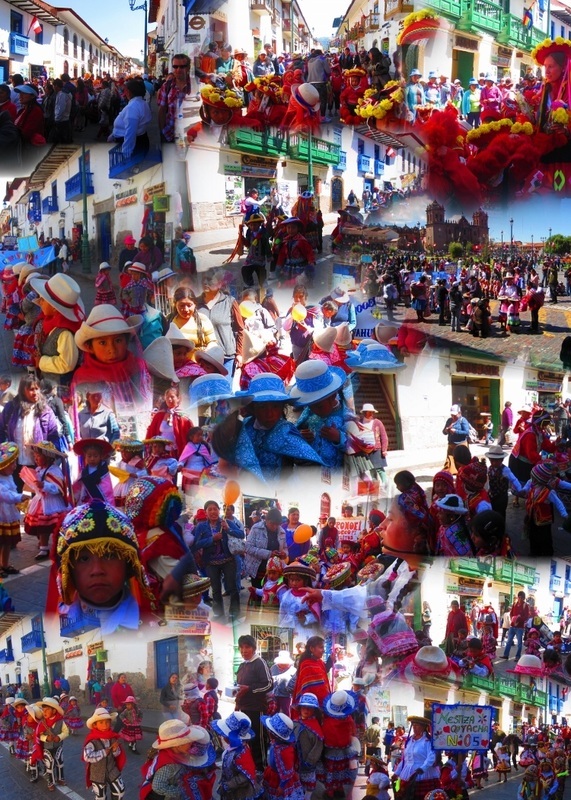 Once in the Sol Inca, my life had just taken on a mantle of luxury, 3 days here would be great, it was also very quite. Deirdre was due to fly in on the 15th, on the early flight from Lima. Due to delays at Fort Worth she could not connect with her flight. Not knowing, I was at the airport at 0615, no Dreirdre, Checking with the staff, a guy found she was on the 1035 flight. A bit of time had to be consumed. Looking for a bus back to the inn, conversation started roadside with a guy doing the same thing. 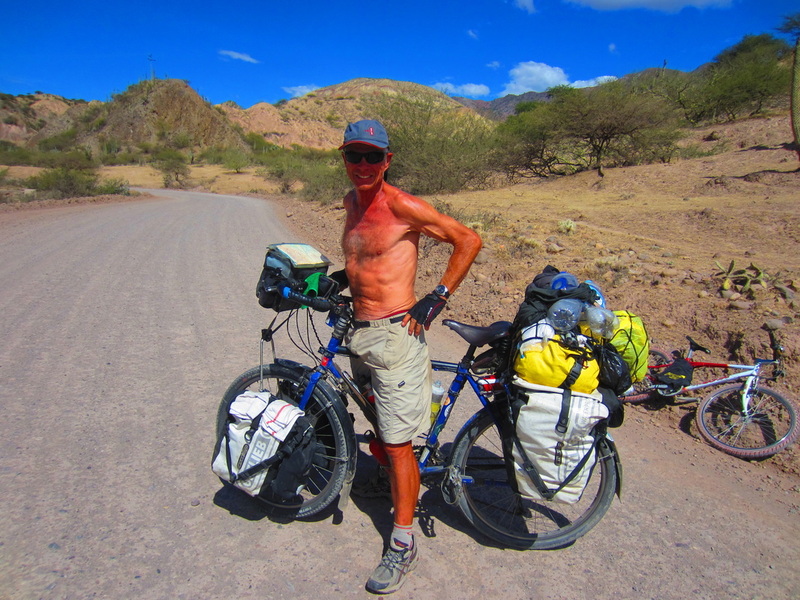 He was a doctor in the mines up near Ayuchaca. Bloody nice guy, we spoke at length, then he said lets go and have breakfast. He had worked up at Cerro de Pasco in the mines. Interestingly, he didn’t let his family with two young children come to live there for the year due to the health issues associated with lead in the water. He said an intern in a Peruano hosipital is on $30000 a year. We spent an hour over over breakfast and yarning. He kindly shouted my breakfast. He is looking at finding work in Australia or Canada. I told him there are lots of opportunities in Australia, if you are prepared to work outside the cities. It was soon time to go and meet that later flight. It was the ever repetitive airport arrival scene at a tourist destination. That of taxi drivers soliciting everyone that walked out the exit coupled with a line up of tour operators behind the barriers holding up A4 sheets with names of people boldly displayed. Nipping off to a tienda with internet, I grabbed an A4 sheet and in texta emblazoned DEIRDS!! Boldly on it. Back at arrivals, I took up a front row position, displaying the placard and waited. She walked out the door, spotted me and we both cracked up. It was great to see her again . We grabbed a cab after lots of hassling for a reasonable price. 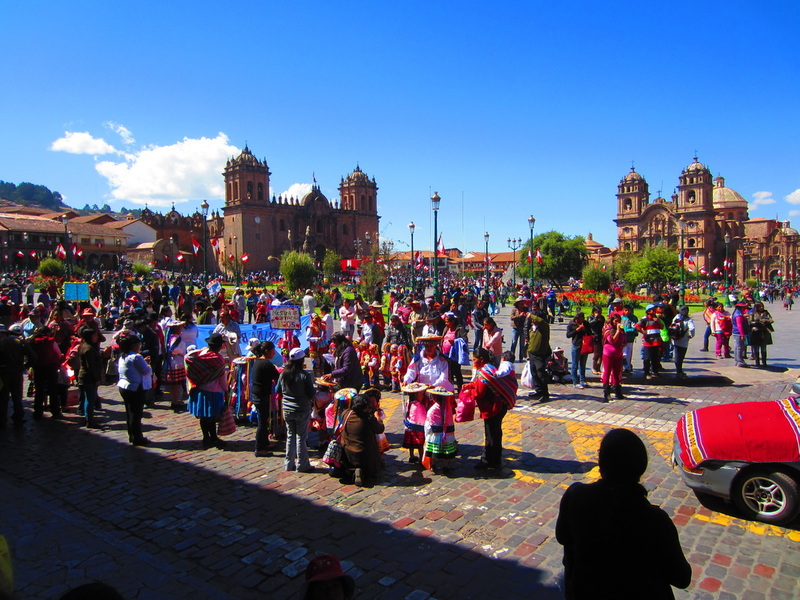 Her arrival for me was the end of some 12 or so days here in Cuzco. She had a heap of goodies from Canada. We needed tarp poles, a spare stove pump, guy ropes, canned salmon, good chocolate, earl Grey tea, zip lock bags to name a few. I had ordered some more Ice breaker tops. She had these. The synthetic Colorado top bought in Trujillo, stunk after a few days wear. Wool clothing is the best gear for hiding the fact you haven’t showered on a regular basis when in public. Not to mention its insulation qualities. Her arrival was a bit like an early Christmas. She has opted to use a mini Ipad for communication back home. They are great, though Apple is so proprietary when it comes to their products. Maybe I will get converted after getting to know how to use it. Maybe not! The day was spent catching up and buying cheese and bread at the local market to compliment some fresh cryovac Canadian smoked Sockeye. The milk of the mother!!! We had much to talk and laugh about.